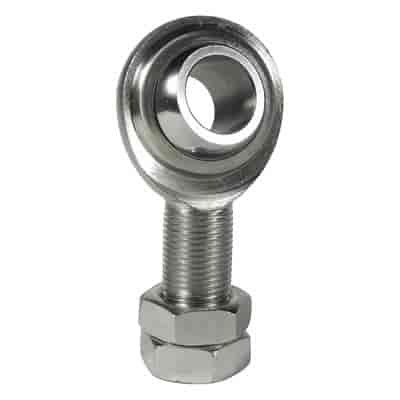 Rod End Head Bore Size: 3/4 in. Overall Length (in): 3.750 in. Rod End Centerline Length: 2.875 in. If more than two joints are used in a steering system, a Borgeson support bearing must be used to prevent ''looping'' and binding. Use of a vibration reducer and two u-joints will also call for a support bearing to be used. Sheet metal will not stand up to the stresses. The steering shaft should fit easily through the support so there is no binding. A system with a double u-joint and a single u-joint counts as a three joint system and would require a Borgeson support bearing.